Here is a video that shows how to analyze Onshape weldments created with FeatureScript in SIMSOLID. 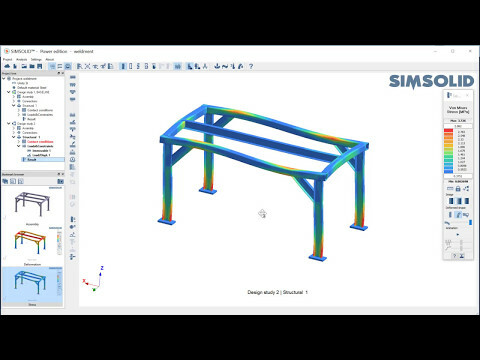 Notice how tolerant SIMSOLID connections are on Beams that don't quite line up. The model is solved using full 3D geometry (not simple FEA beams) without meshing.